Classic morning glory. Covers itself with flowers. Along with Heavenly Blue, this is the classic morning glory! Vines are extremely vigorous, up to 15 ft., and are literally covered with small, dark purple-blue flowers up to 3" across, with a red star at the throat. Thought to be originally from Bavaria, this is probably the easiest morning glory you can grow, and it will self sow even in cold climates. Morning Glory, Grandpa Ott is rated 5.0 out of 5 by 7. Rated 5 out of 5 by Morning_glory118 from Lovely plant I bought a packet of these a little over a month ago , i planted them in seed cells , then transplanted them out to my yard in Central florida , surprisingly despite the sandy , poor soil , they popped out flowers at 3 and a half weeks old ! they are about a week into flowering and the blossoms are about 3-5 inches across , the color doesnt really vary , which i like , and they bloomed the color i was expecting them to , if i had to , i would by them every year ! But since they are such prolific self sowers , i wont have to , since they'll plant themselves , and i will enjoy these for years to come , thank you Burpee ! 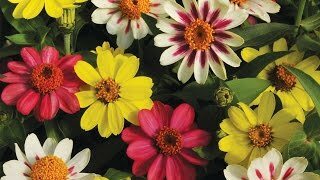 Rated 5 out of 5 by Gardener2018 from Morning Glory, Grandpa Ott Amazing plants and blooms! Stunning blue colors with beautiful deep blue inner star patterns! Will grow these again! Rated 5 out of 5 by Mary Mc from Beautiful Grandpa Ott Morning Glorys People are in awe over these morning glorys. They look like they have a light on the center. Rated 5 out of 5 by LoriLock from Beautiful & Amazing !! These are PERFECT!! And the color is vibrant. I tried morning glories in the past and they DID NOT make it. This time these are just beautiful. They have had a pretty quick start and grow, grow, grow. I'm SO HAPPY with these this year and are enjoying them so much!! Look forward to ordering them year after year from now on. Thanks Burpee for providing excellent seeds. Rated 5 out of 5 by JSFarms from Beautiful deep purple flowers I love this morning glory. Thinking I'd get a head start on the growing season, I sowed them indoors, but they didn't take well to transplanting. So, because the weather was warm enough, I direct sowed some seeds, and boy, did they take off! The color is beautiful -- a dark purple, just like in the photos, with a slight magenta tinge to the interior. They're really quite lovely. No real maintenance, either, other than making sure that they're watered during hot, dry spells. Rated 5 out of 5 by Sidhewulf from Beautiful Flowers Very fast growing and has lots of beautiful purple flowers that everyone loved.